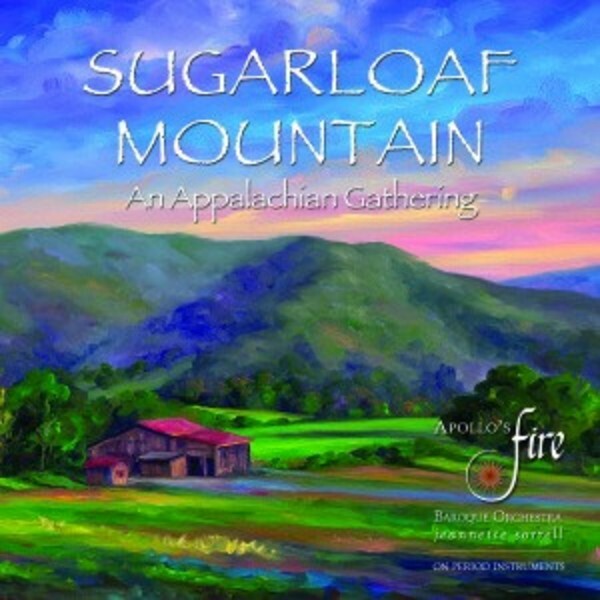 On 'Sugarloaf Mountain: An Appalachian Gathering', Apollo's Fire explores the rich repertoire of renaissance English and Scottish ballads that crossed the Atlantic and evolved to express a new world, an Americana life of joys and sorrows, love and loss, dancing and prayer. An award-winning programme created by Apollo's Fire's director Jeannette Sorrell, 'Sugarloaf Mountain' follows the joys and sorrows of Celtic immigrants who settled in Appalachia. Sparkling fiddle tunes and haunting ballads of the British Isles crossed the Atlantic during the 17th, 18th and early 19th centuries and took root in the hills of Virginia. They mingled with American shape-note hymns and African spirituals, creating the soulful music known as 'Appalachian'. Passing through love and loss, dancing and prayer, the music overflows in celebration as the people of the mountains raise their communal voices.